The Bay Area's most expensive cup has a story to tell, but are Blue Bottle's Yemeni beans worth the price? Luke Tsai What $16 buys. A cup of coffee is just a cup of coffee — unless it promises to restore a war-torn country's downtrodden coffee industry to its former glory. 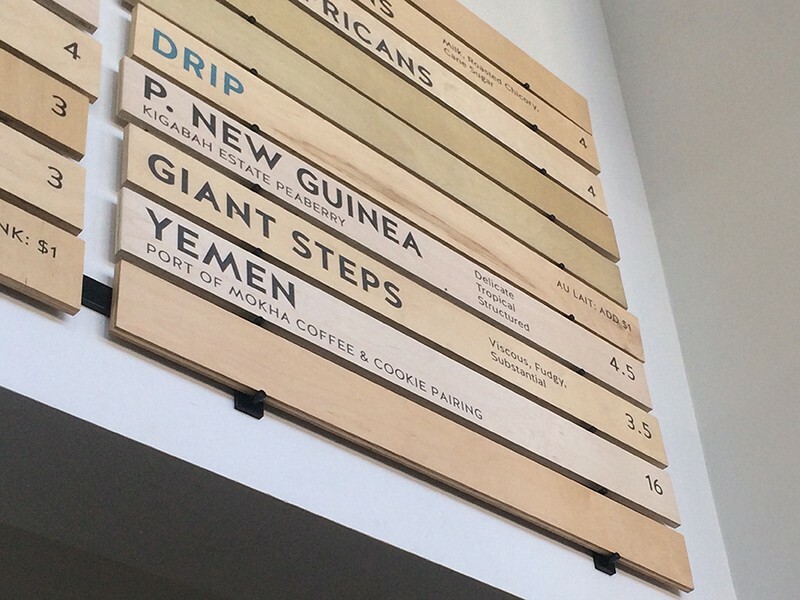 For that, a Blue Bottle Coffee near you charges a steep price: $16 for a single cup of Yemeni coffee. Excuse me while the internet explodes in outrage. As the Chronicle's Jonathan Kauffman pointed out, while Blue Bottle's $16 cup currently wears the crown for the Bay Area's most expensive drip coffee, it does so by a slim margin. Plenty of trendy local coffee shops have already broken the $12 barrier, including a $15 pour-over from Santa Rosa-based Equator Coffees & Teas that garnered a slew of press — and outrage — when it debuted just a few months ago. The Yemeni coffee at Blue Bottle might turn out to be the most delicious cup of joe you've ever tasted — or, SPOILER ALERT, it might not. But for anyone other than a food writer or a dedicated coffee nerd to willingly fork over $16 for a single cup, the company has to sell people on the story behind the coffee beans. And I have to admit it: The story behind Blue Bottle's Yemeni coffee is remarkable even by Bay Area artisan-food narrative standards. 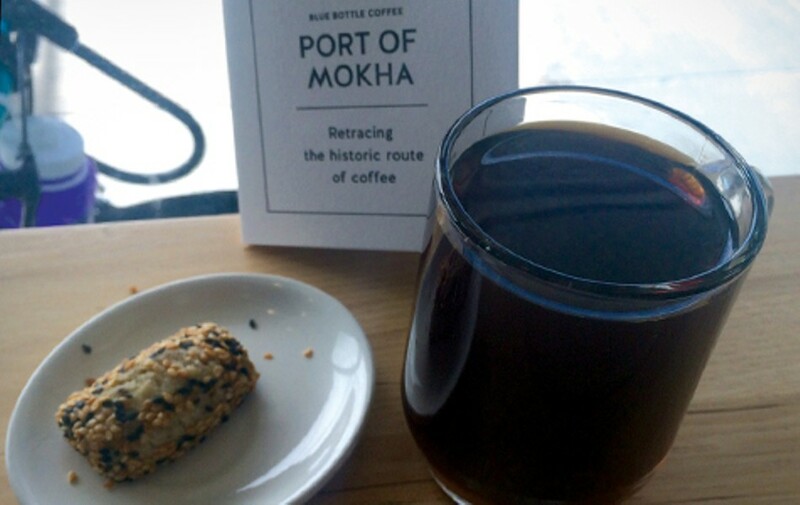 Port of Mokha founder Mokhtar Alkhanshali, a Yemeni American who grew up in San Francisco, spent two years visiting coffee farms in Yemen and working with the farmers to improve their agricultural methods — much of this amidst the country's civil war. 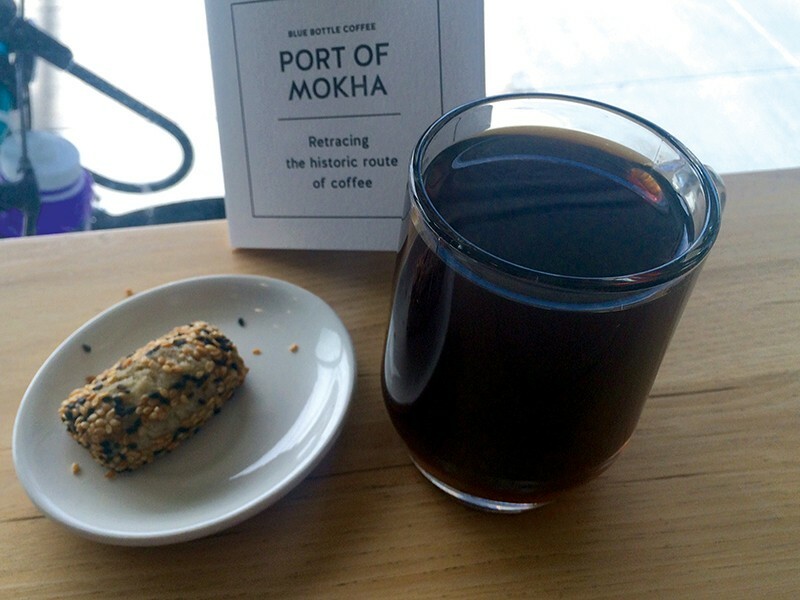 The coffee I drank at Blue Bottle's Jack London District cafe was the direct result of two suitcases worth of samples that Alkhanshali smuggled, at great personal risk, out of the literal port of Mokha on a twenty-foot dinghy. And those samples drew raves at a national conference for specialty coffee. There is a socio-political component as well. Yemen is traditionally recognized as the birthplace of the global coffee trade, but its modern-day coffee farmers have struggled due to the country's internal conflicts and lack of infrastructure. So, Blue Bottle's Port of Mokha coffee is being marketed as investment in the idea of restoring Yemen to its rightful place as one of the world's premier coffee-growing regions. It's a compelling narrative. But does it add enough value to merit the $16 price tag? I asked Blue Bottle founder James Freeman if he could offer some kind of breakdown of the economics of the $16 cup: How much of that was going to the farmers? How much to compensate Alkhanshali for risking his life to transport the coffee? How much would be pure profit? Each cup comes with a seeded cardamom cookie that's meant to go with the coffee and a gorgeous, full-color brochure (printed on thick, high-quality cardstock) that tells an abbreviated version of Port of Mokha's story. I couldn't help but wonder: Could Blue Bottle have shaved $2 or $3 off the cost by leaving those out? In an email sent by way of a PR representative, Freeman understandably didn't get too far into the nitty-gritty of the company's profit margins. But he did explain that Blue Bottle has to pay for things you don't typically have to with specialty coffee — for smuggling samples, paying bribes, and transporting expensive equipment into a war-torn nation. "The work that Port of Mokha has done over the past two harvests was to disrupt the current lack of infrastructure in quality coffee by installing one in the midst of violence and insecurity," Freeman wrote. "This makes the cost of doing business at this point in time equivalent to an intervention." All idealism aside, most potential customers are probably just wondering how a $16 cup of coffee tastes. After all, Freeman is on record saying that the Yemeni coffee offers customers the chance to "experience one of the best cups of coffee they've ever tasted," and he's adamant that, story or no story, the coffee is worth the money on its own merits. I'll admit to not having sophisticated enough of a coffee palate to pick up on the "crystalline" flavor referenced in the tasting notes for the Hussein al-Haba coffee currently on offer (or to know what that would even taste like), but I did taste hints of strawberry and other dried fruits — flavors that are, in my experience, typical of this style of light-roast coffee. The honest truth is that I liked the coffee about as much as I like any other pour-over coffee of this style (typical price: $3 or $4) — maybe a little bit more because it was smoother and more balanced. Its acidity, which reminded me of grape skins, became more pronounced as the coffee cooled. In short, it wasn't a life-changing cup of coffee, and I'd caution prospective customers to not have those kinds of expectations. Even Freeman himself hinted at how normal-tasting the coffee is in his comments to 7x7.com: "It wasn't a thinker's coffee. It was accessible and extraordinary; an obvious coffee." To put things in perspective, I brought along Express staff writer Darwin BondGraham, a devoted drinker of convenience-store coffee, to be my second taster. After taking a sip, he said, not unkindly: "It reminds me of the hazelnut flavored coffee at the Quik Stop gas station near my house." Suffice it to say: Your mileage may vary. But if you're curious about this $16 coffee, you should try it now. The Hussein al-Haba will only be available for a short time, and after it runs out, Blue Bottle will sell another Yemeni coffee — the Mohamed Quleep, with notes of plum wine, cherry skin, and rose water. But Freeman says he is committed to working with Port of Mokha for the long haul: When the fall comes around, there will be a new set of Yemeni coffees to taste, for those with the budget to stomach them.